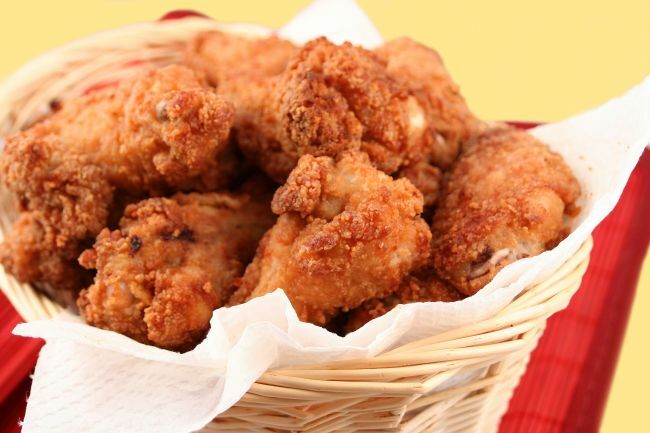 Although “chi-maek” -- a word play referring to fried chicken and beer -- continues to be one of the most popular snacks among Koreans, some health experts have been warning on its harmful health effects. It is not the ingredient but the way it is cooked that can damage one’s body in different ways. According to a long-term study by the Harvard School of Public Health, which examined more than 100,000 men and women over 25 years, people who ate fried food at least once per week had a greater risk of both type 2 diabetes and heart disease. Those who ate fried foods four to six times per week had a 39 percent increased risk of type 2 diabetes, and those who ate fried foods seven or more times per week had a 55 percent increased risk -- compared to those who ate the dish less than once weekly. Researchers of the study claim oil used for frying which is not fresh can be especially hazardous to one’s health. As oil becomes more degraded with each reuse, more amount of it gets absorbed into food. People who consume too much food that contain reused oil are more vulnerable to weight gain, high blood pressure and high cholesterol. All of these are risk factors for type 2 diabetes, which can be prevented by making healthy lifestyle choices. When fried chicken is consumed with 500cc of beer, it reaches 1,400 kcal, which is twice more than the recommended daily calorie intake. Consuming too much chicken skin is said to be especially dangerous as it’s very high in fat -- deriving 80 percent of its calories from it. A 2011 study by Hong Kong Baptist University also shows that chicken skin is found to be a major source of endocrine disruptors in diets. So what are healthier ways to eat chicken? Using trans-fat-free cooking oils may pose less risk when frying chicken, according to the study by the Harvard School of Public Health. Ojeda, on the other hand, suggests to opt for roasting, baking, grilling, sautéing, or stir-frying instead of frying the bird. “You don’t always have to use oil in your preparation,” she wrote in her book.